I haven’t “blogged” here recently. But I’m back to share a few images from the past few months, as well as offer an informal review of the new Sony A7r, a 36mp mirrorless camera. First, this spring’s bluebonnet season was a bust. There really isn’t any way to sugarcoat it. What started with much potential with the rains last fall ended in a drought. Sure, there were a few nice spots. 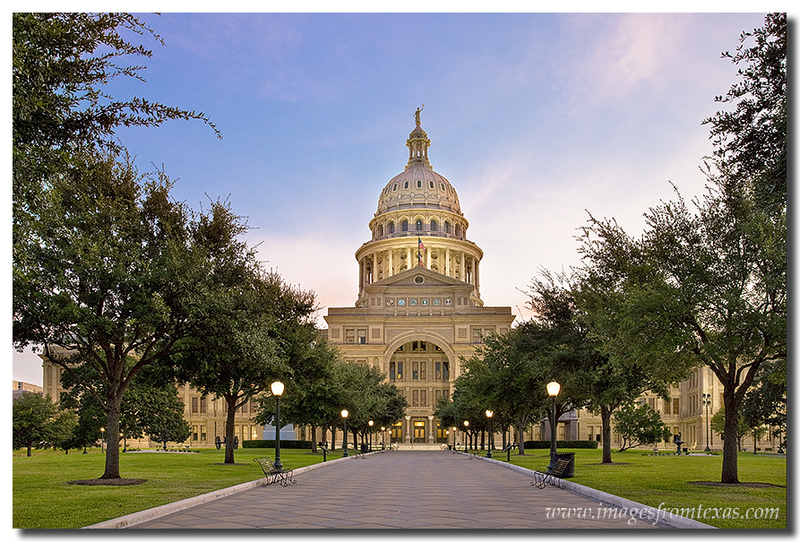 I drove many miles south and east of Austin and San Antonio. The best wildflower images I found were not bluebonnets, but a mix of flowers on Church Road near New Berlin. Below is an image from an early morning there. For more wildflower images, please visit my wildflower gallery. 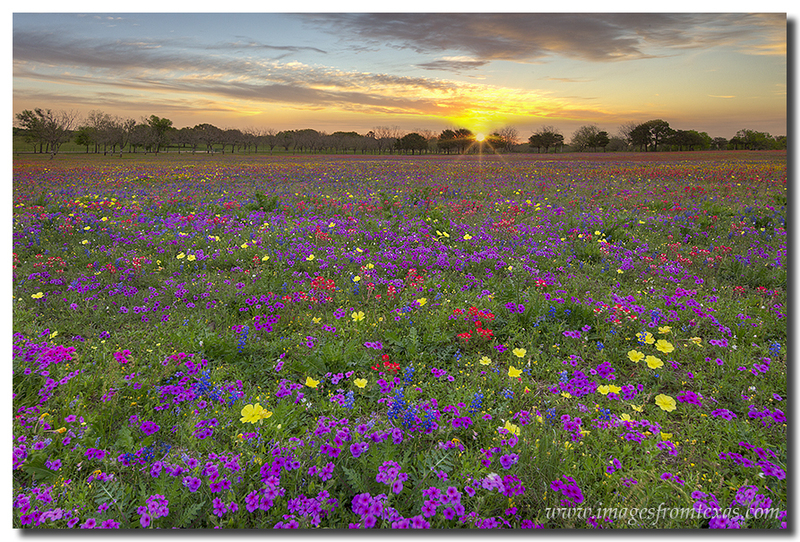 From near New Berlin east of San Antonio, this field of Texas wildflowers was one of the few colorful displays in the spring of 2014. 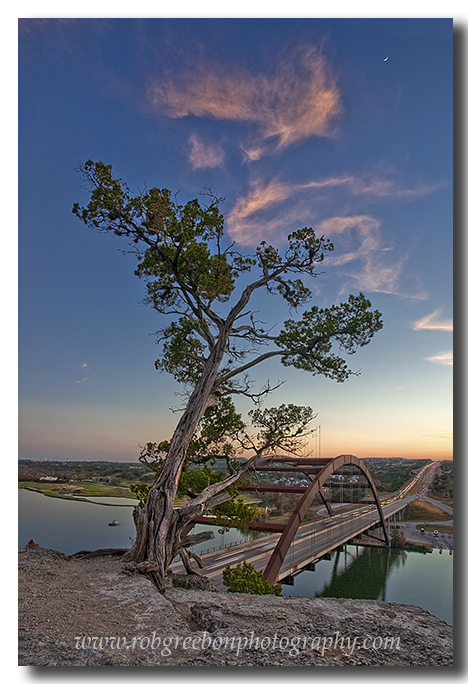 Another location that broke the norm was Turkey Bend, just southeast of Marble Falls, Texas. This little park offered a huge field of bluebonnets. Unfortunately, folks also used the field to plow their trucks through and leave tracks. One evening the field was great. The next, the bluebonnets were smashed into the ground. I just do not understand people sometimes. 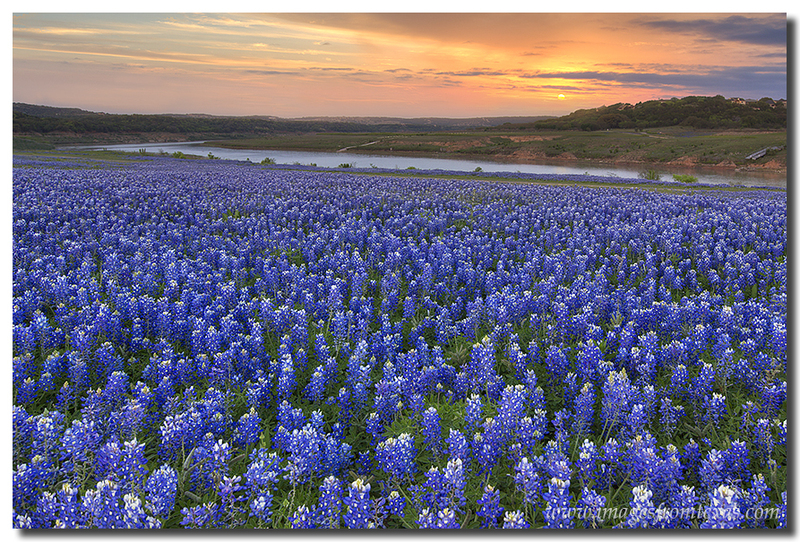 Sunrise at Turkey Bend shows a field of bluebonnets – one of the few nice Texas wildflower displays in 2014. As the bluebonnets faded, I had hopes of other Texas wildflowers replacing them. Firewheels were set to explode, but the lack of rain prevented them from ever really putting on an impressive display as in years’ past. The roadsides showed some nice color, but the fields just didn’t have much to offer. So I turned my attention to the prickly pear cactus. I haven’t spent much time in the past looking for this cactus with yellow and orange blooms. But this year I still wanted to find some nice colors. After a lot of miles driving around and days spent exploring, I finally decided to focus on Enchanted Rock State Park. On the lesser outcrop, Little Rock (just west of Enchanted Rock), there were some nice displays of the Prickly Pear. I awoke very early one morning and headed out to photograph the milky way from Enchanted Rock, then capture the blooming cacti as the sun rose. While the milky way was great, I discovered the Prickly Pear cacti flowers close up at night. Uggh! So I returned several different evenings, hoping for a stellar sunset. Finally, I captured what I was after, but not before many rather painful pokes from cacti needles. 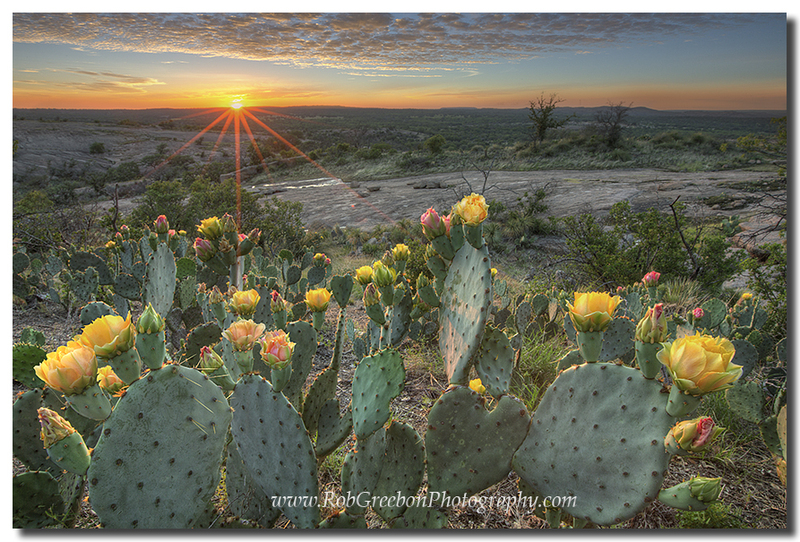 In this Texas Hill Country Image, the prickly pear cactus blooms at Enchanted Rock State Park. 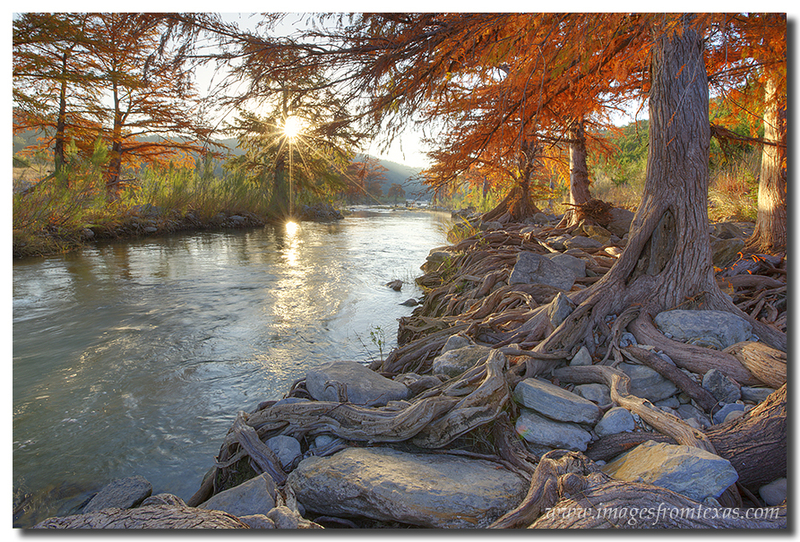 You see more Prickly Pear images on my Texas Hill Country gallery. Aside from chasing wildflowers this spring, I’ve been trying out the new Sony A7r. I should say I shoot with Canon cameras, including a 5D3 and 5D2, as well as with many L lenses. I’m happy with Canon. Still, when the new A7r appeared and offered a high resolution camera at a very light weight, I thought I’d try it. After all, I spend a lot of time lugging a heavy, camera-laden backpack around. 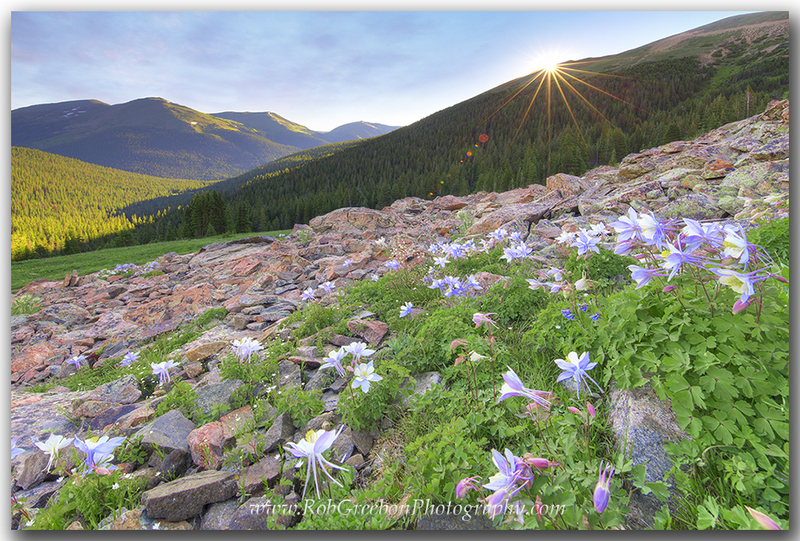 In Colorado, when I’m chasing those Colorado wildflowers and climbing 14ers, I can often cover 10-20 miles in a day. A powerful, lightweight camera did sound good. I’m not going to get bogged down in the details. You can find many reviews of the camera online if you want to delve into all the formal reviews. I’ll just share my experiences. First, the good (and keep in mind, I’m coming at this from a landscape photographer’s perspective who tries to earn a living at this gig. I don’t particularly like photographing people, though I will do it for friends). I have been using the A7r with a Zeiss 35mm lens. 1 – It is lightweight = great for backpacking. It really lightens my load. I wish more lenses were available, primarily a wide angle lens. There is a 16-35mm on the horizon. I will see what the reviews are on that before purchasing. I know I could buy an adapter for my Canon lenses, but then I’d lose the perk of a light weight camera. 2 – the detail is incredible. There is really a noticeable difference in resolution from the A7r and my Canon 5D3. Still, the 5D3 can produce very large, clean images when shot from a tripod and using good glass. 3 – The ability of the A7r to bring up shadows and turn night images into photos that appear to be taken in the day is unrivaled. Absolutely no comparison with anything Canon has. 1 – to me, it is not intuitive (maybe this is bc I can work the Canon functions with my eyes closed). When the color is popping at sunrise or sunset, I just don’t trust it. 2 – I don’t trust the colors. 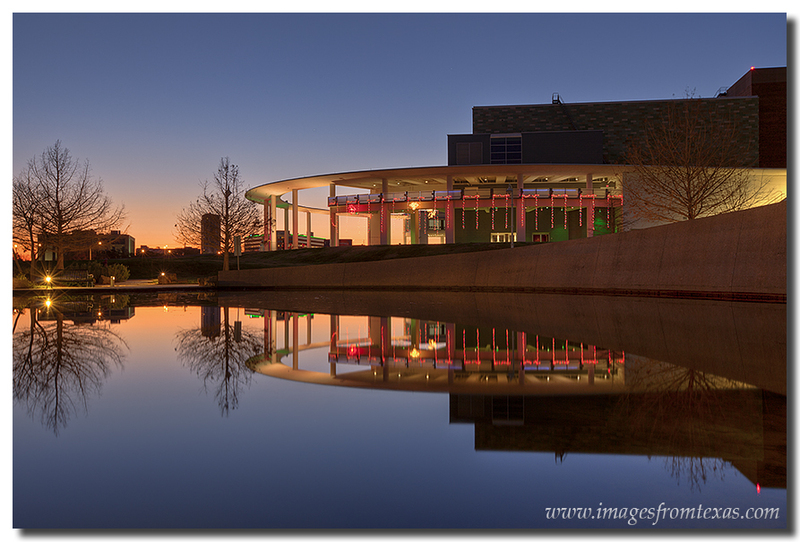 Coming out of the camera, the colors are just not true to life – and I’m talking about primarily at sunrise or sunset. I find there is yellow banding and I’m not happy with the sunflare just yet. 3 – You cannot bracket and use the timer. This is just a brain fart by Sony. The landscape photographers I know bracket, and bracket nearly everything around sunrise or sunset. There is a workaround – I ordered a remote control from China that helps, but you still have to make it take three images by clicking 3 times – it will not do this automatically. 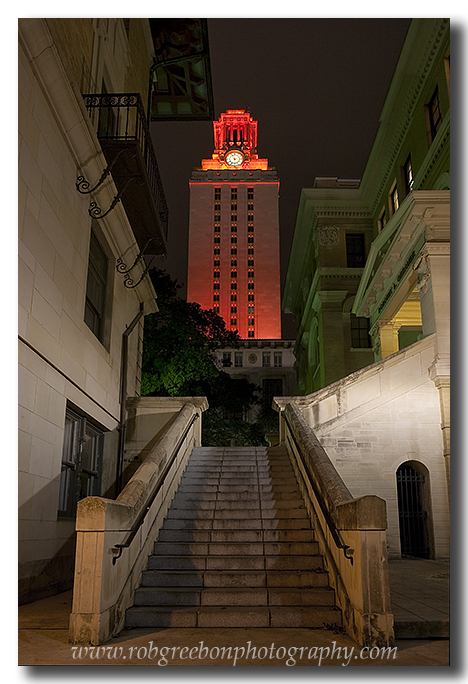 Bottom line is the camera has great detail and handles night images extremely well. I’ll be using it more with my astrotracker to photograph the milky way. But when the sun is on the horizon, I’ll be sticking with my canon cameras. 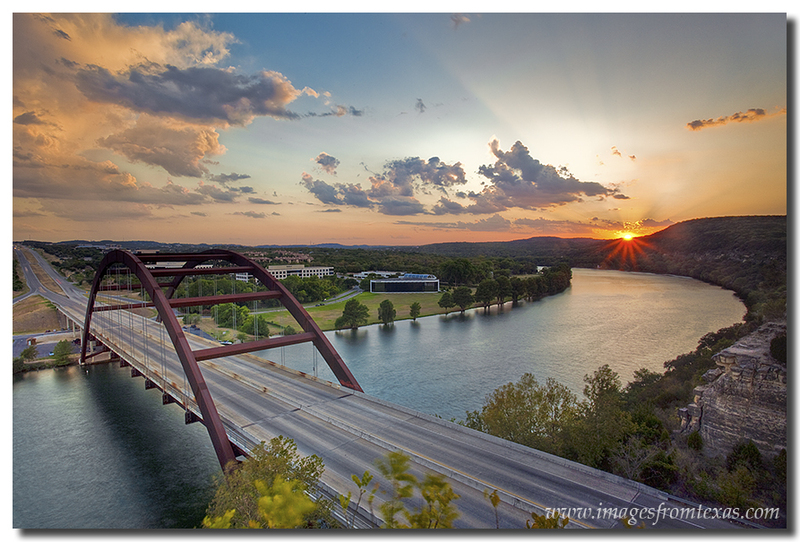 OK… last thing… I spent a peaceful evening at Mount Bonnell. This image comes from that evening. 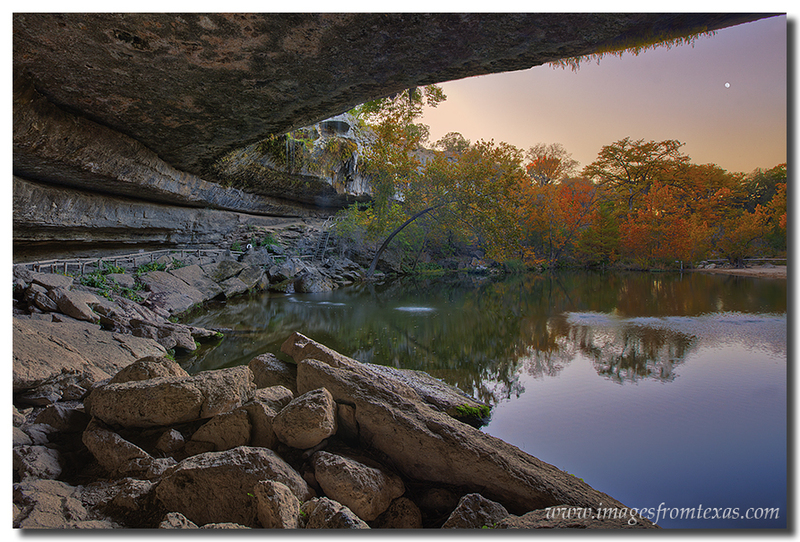 If you are visiting Austin, Texas, this is a nice place to see the sun dip into the horizon out across the Texas Hill Country. 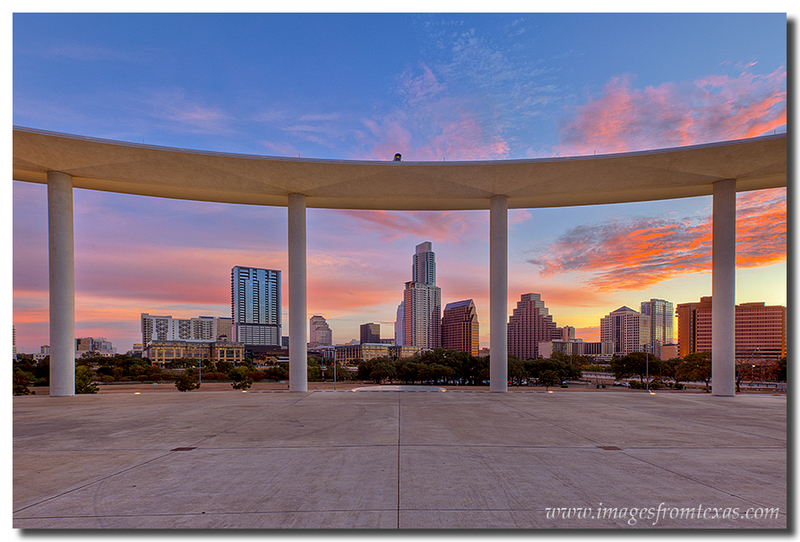 See more Austin images here. 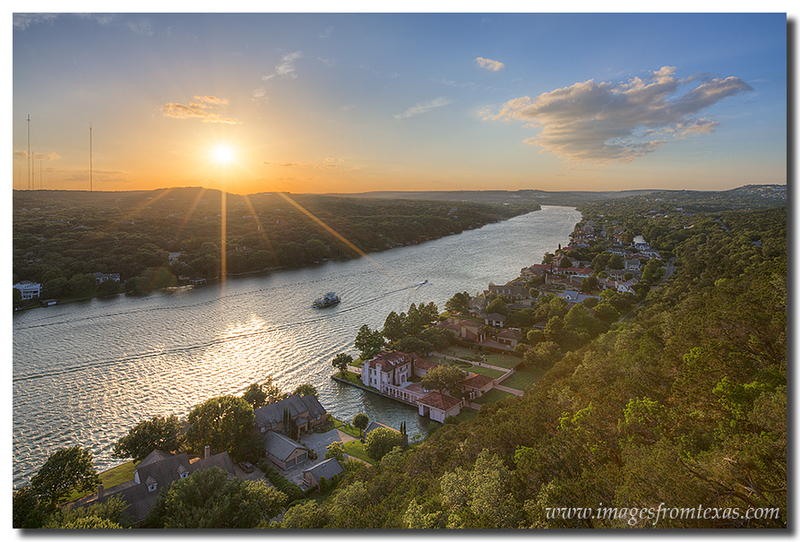 Sunset comes to Austin, Texas, as seen from Mount Bonnell. Feel free to follow my photography on my photography facebook page. I’m not a big fan of being awake at 4:00am. I like my sleep. But sometimes in order to capture an image I think has potential, I have to give up sleep for a bit. 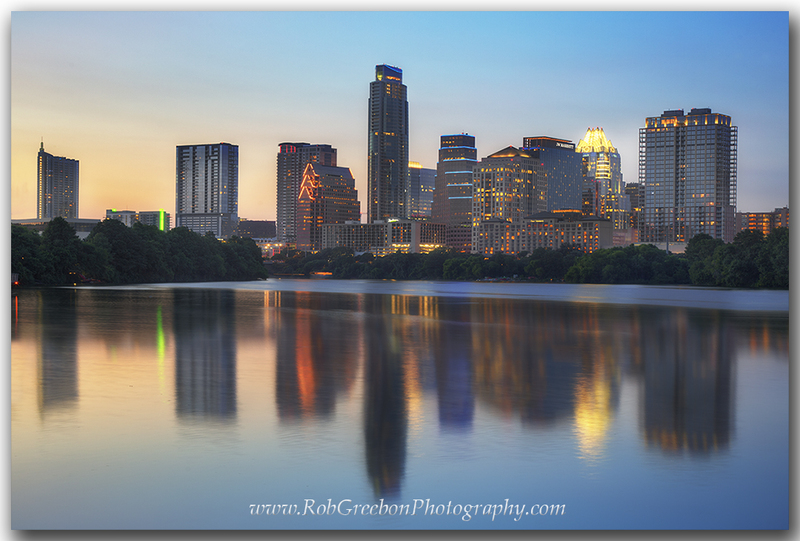 A few weeks ago a full moon rose over Austin, Texas in the middle of the night. Early on a Thursday morning, I pulled myself out of bed and left my sleeping family to make the drive over to the 360 Bridge (also known as Pennybacker Bridge). The air was cold and crisp. 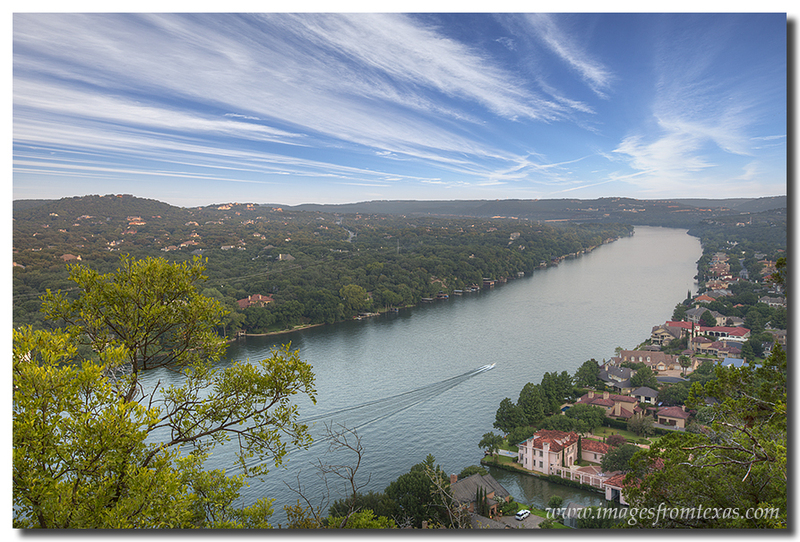 I shot from two locations – one on the northeast cliff looking over Pennybacker back to the west and the Texas Hill Country. 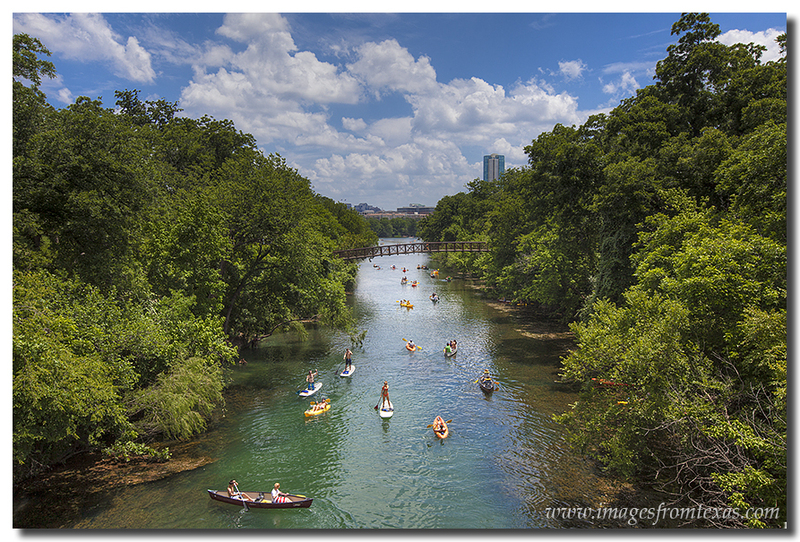 I also trekked down the trail on the northeast side of the 360 Bridge and shot looking back at the Bridge and the Austin skyline in the distance. I knew a full moon would be overhead, but I was blessed with great clouds, as well. I actually blended two exposures together to capture these images. The first was a 5+ minute exposure at 100 ISO (to reduce the noise). The second exposure had a much higher ISO and was less than 30 seconds in order to keep from having star trails creep into the image (I wanted dots of light rather than the star trails). The blend was easy since everything was the same shade of dark blue under the night sky. 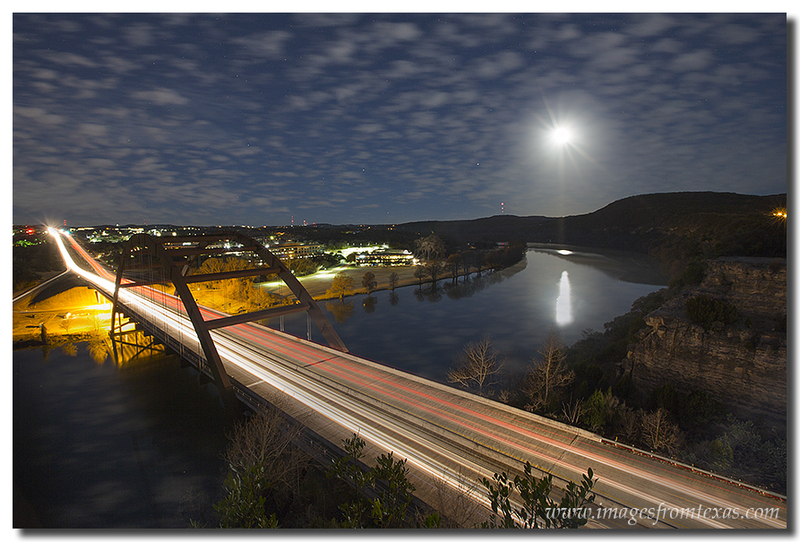 A full moon lights up the clouds and Pennybacker Bridge on a cool January night in Austin, Texas. 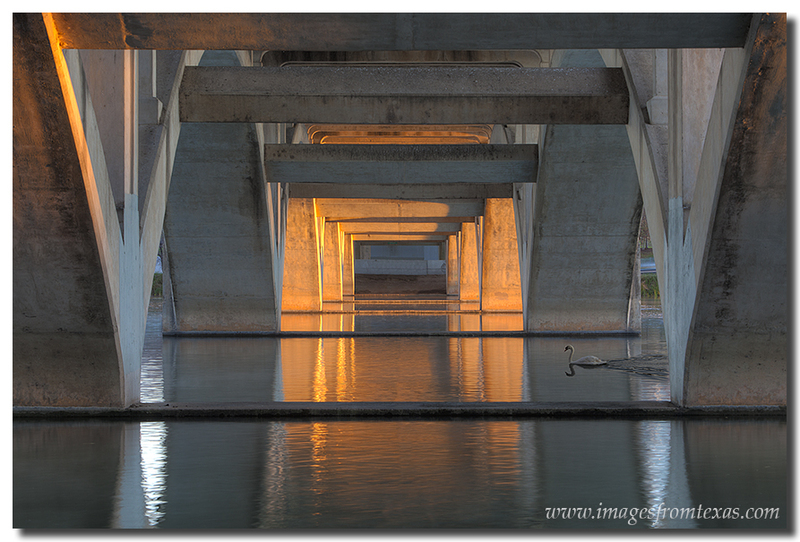 For a few more from that night and a few days later, please visit my Austin gallery or this 360 Bridge Gallery. 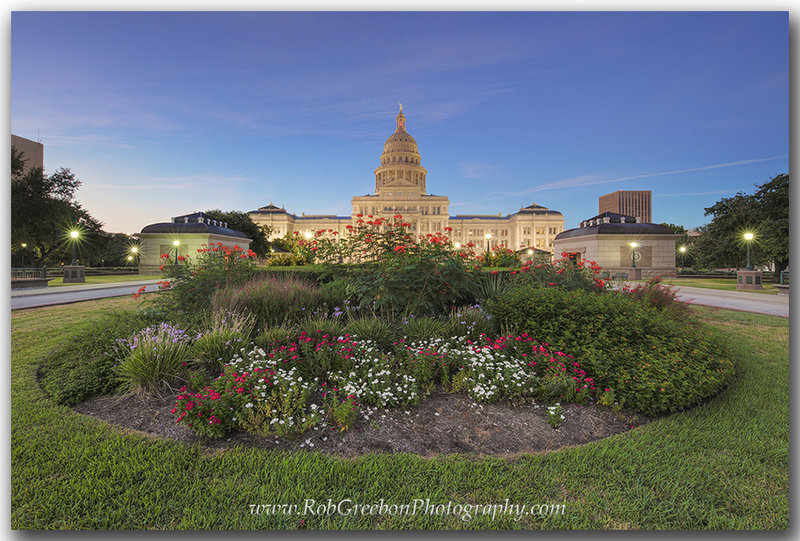 Stay tuned for upcoming Texas Wildflower images or follow my latest on facebook here. As we quickly approach Christmas day and I’m realizing toys I bought for me kids will soon be strewn all over our house, I can’t help but become immersed in the sentimentality of the season. I’m probably more like Chevy Chase in those Vacation movies – always the optimist and always excited about what’s just around the corner. I remember fondly my childhood watching “A Charlie Brown Christmas” and listening to Linus make “The Meaning of Christmas” speech at the end of rehearsals. I can still hear my dad’s Johnny Mathis Christmas record playing Winter Wonderland. And now I’m older and have kids of my own. I wonder what they will remember about Christmas and their childhood. I hope they are good memories. One thing I’m sure they’ll point out is how dad was always taking photos. And one of my favorite sights each year is the Trail of Lights at Zilker Park. While I sure don’t enjoy the traffic and crowds, it does feel festive – and makes the holiday season feel like it has finally arrived. 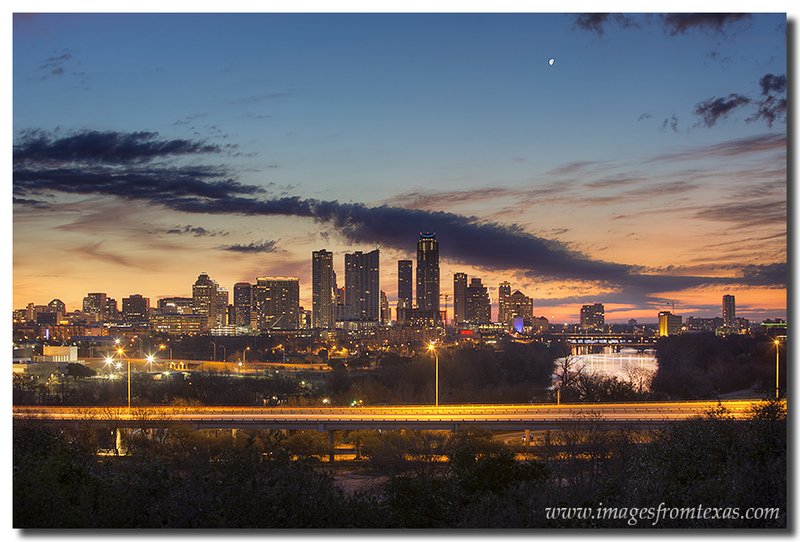 So with this blog, I’d like to share my vision of Christmas in Austin – The Trail of Lights and the Zilker Park Christmas Tree backed by the beautiful Austin skyline from December of 2013. The Trail of Lights is an Austin Tradition. 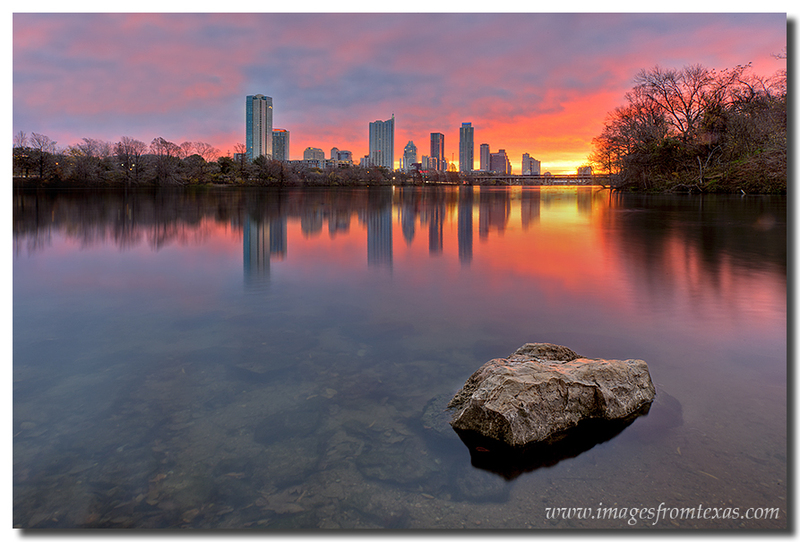 Behind the tree at Zilker Park rises the Austin skyline. or follow my photography on Facebook.